Do you want to get out of the house more? 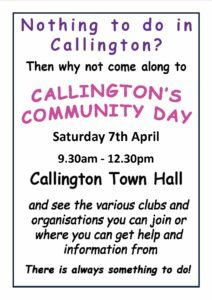 Do you think there’s nothing to do in Callington? 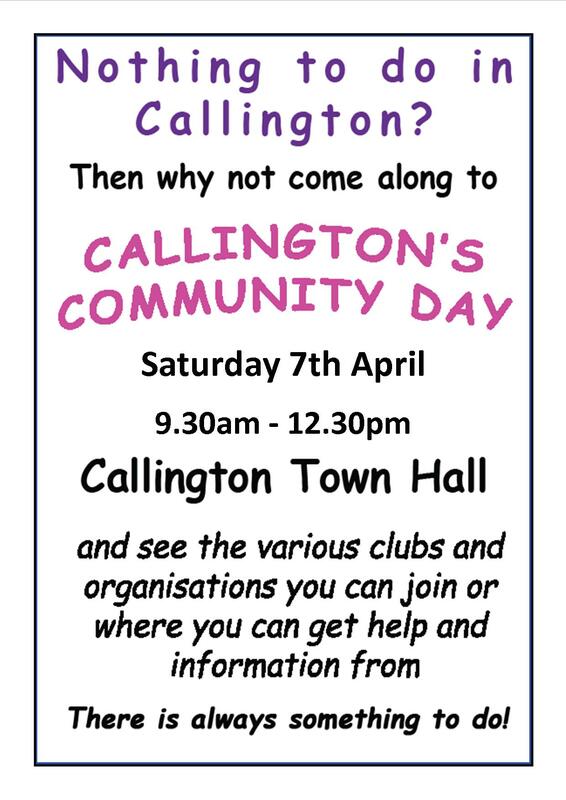 Then come along to Community Day on Saturday 7th April in the Town Hall complex from 9.30am to 12.30pm. Come and see what a huge variety of groups, organisations and clubs there are in our town and surrounding area. Come and sign up to one of these groups or just come and see what’s available. There are also organisations where you can get help, information and advice.